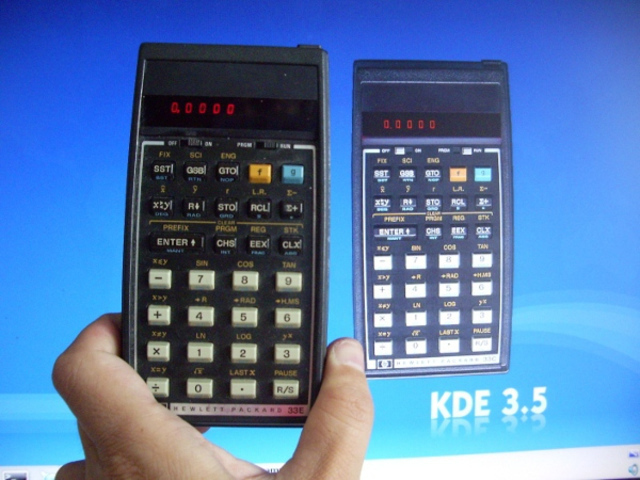 X48 is a Hewlett Packard scientific calculators that can be get by emerge x48. Type man x48 or checkout https://sourceforge.net/projects/x48.berlios/ to get help. It is a collection of older Hewlett Packard models and includes the HP41. There is also emerge free42 that can be started with free42dec. It comes with a nice looking realistic skin but can also be switched to an ugly skin. Last but not least type man bc to see about the console calculator. Or use wine and install the windows hp41 emulator from www.hp41.org .